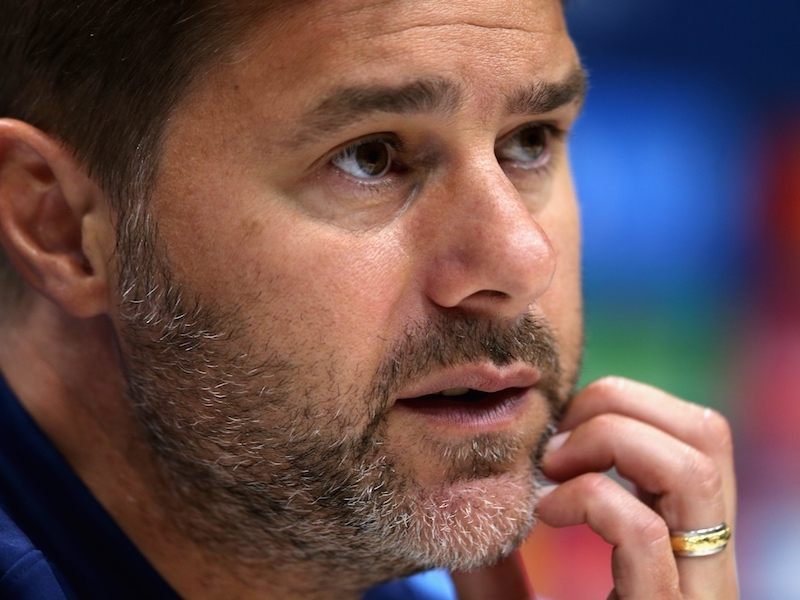 Pochettino urges Spurs fans and media to “believe” in his decisions – is he right? Tottenham manager Mauricio Pochettino has urged those outside of the club – referring to the Spurs fans and the media – to believe in his decisions in order to eradicate lingering negative perceptions. Pochettino has been heavily linked with the Manchester United job this week following the sacking of Jose Mourinho but wasn’t allowed to answer questions regarding the speculation in his press conference on Thursday. Instead, he explained to reporters how the lack of belief from the outside sometimes attaches a negative perception to the club’s decisions. The Argentinian claimed Tottenham’s self-belief must improve, going on to use a recent tactical decision as an example. “In this football club, if some bad results arrive the situation is going to turn again,” Pochettino said (via ESPN). “All the positives today will be reversed and become negatives, because we’re still not solid in our ideas. We believe but don’t really believe. We’re happy but not so happy. I think there’s still massive work to do. “I’m not talking about inside of the club, I talk about the perception outside, the people outside. We’re so fragile. We’re still not solid enough as a club to support some good and some bad [periods] because the perception of the people can affect the club. “I think we’re changing a lot and we’re going to change, if we have time to do that. But our self-belief is still so fragile. “We’re doing fantastically but if we don’t sign in January people say we’re going to struggle. It’s all negative, rather than saying, ‘If Tottenham don’t sign anyone it’s because they believe that they’re going to, or that they have the tools to, perform well and maybe challenge for the title. “The doubt is always negative, never positive. Maybe that’s because of the history, because of what happened in the past. We need to fight with this perception. Of course, we need to read the media, listen to the fans, but in the end, we need to feel free to take the decisions. “When Ben Davies was going to play as a centre-back against Burnley, the perception is, ‘Oh but Ben Davies is not a centre-back’. “All the decisions are always taken in the negative way, and in that [way] it’s so difficult to build something special and a strong structure for the future to win. “The answer is to win games. In the end, the consequence is going to be to win trophies, to be competitive, always to be proud about your team, about your players. I think Pochettino might be on to something. The Spurs boss is often criticised for his starting line-ups before a game, yet his tactics usually bear positive results. That said, premature criticism isn’t exclusive to Tottenham. In the age of social media, journalists and fans have a platform to broadcast their opinions at any time, so we see far more of it than we used to. Spurs face Everton at Goodison Park this weekend – check out our predicted XI here. What we do need is for Pochettino to commit to Spurs long term by stating that he is not interested in the poisoned chalice that is the Man Utd. job. Of course some of his decisions have and will continue to be questioned just as more will be lauded and appreciated; mistakes are human and we all make them.He is loved and appreciated by players, and supporters alike and long may he stay and take us to more and more success. Regarding Gazzaniga,I am sure I am not the only one who actually believes that he is the best keeper at Spurs right now(no offence to Hugo), For a start, were it not for him, we would not have scored either goal at the Emirates on Wednesday as Hugo would never have cleared the ball as far or as quickly as Gazza did which lead to both goals. Yes. Pochettino is not infallible, but his judgement is generally sound, and he applies himself thoughtfully to any situation, avoids egotism and without fail seeks the guidance of his backroom team. He is open and accessible to his players, calm under pressure; he enjoys good relations with other managers but protects Tottenham’s own viewpoint vigorously. He is competitive but a good sport. What more could we want from a manager. He’s magic, you know; in Posh we trust!